Money will flood into the Canadian marijuana market on Oct. 17, the day our neighbors up north legalize all marijuana use. Even before full legalization, legal cannabis sales in North America were expected to skyrocket 145% from $10 billion in 2017 to $24.5 billion by 2021. That means those projections may be too conservative with Canada on the edge of a full-blown cannabis revolution. That's why we wanted to provide you with a list of three Canadian marijuana stocks to watch before Oct. 17. While these aren't our recommendations (we'll show you how to access those later), they are some of the most talked-about pot stocks on the market. On Oct. 15, Canopy Growth Corp. (NYSE: CGC) announced it would acquire the assets of ebbu Inc., a cannabis research company. Aside from CA$25 million, Canopy will also issue 6,221,210 common shares of CGC. 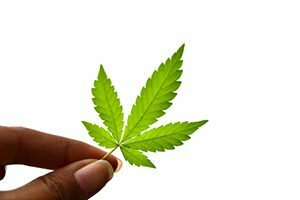 "Intellectual property and research and development advancements achieved by ebbu's team apply directly to Canopy Growth's hemp and THC-rich cannabis genetic breeding program and its cannabis-infused beverage capabilities," Canopy Growth said on Oct. 15. Cannabis-infused beverages are gaining traction, with legacy companies like PepsiCo Inc. (NASDAQ: PEP) and Coca-Cola Co. (NYSE: KO) eyeing the market to bolster sluggish soda sales. Canaccord Genuity projects the marijuana-infused beverage industry will be worth $600 million by 2022. That may sound small compared to the $10 billion in legal cannabis sales in 2017, but remember, this is a completely new category. It's not going to take long before cannabis-infused beverages become a billion-dollar segment in the marijuana market, a segment Canopy could dominate with this acquisition. Canadian Marijuana Stocks to Watch in October, No. 2: Tilray Inc.
Tilray Inc. (NASDAQ: TLRY) cultivates and distributes medical marijuana across the globe, including Australia, Germany, and South Africa. On Sept. 11, shares opened at $89.16. Just eight days later, the TLRY stock price reached an all- time high of $300 per share on Sept. 19. Things have calmed down, with TLRY opening at $155 per share on Oct. 15. In the short term, it would be hard for Tilray to replicate these gains over the next year. However, most investors also never thought TLRY could go public on July 19 at $23.05 a share, and the stock price would climb 1,201% in two months to $300 per share on Sept. 19. And that brings us to the last Canadian marijuana stock to watch on our list. This Canadian cannabis company has a unique growth strategy that has almost doubled its investments to nearly $1 billion.